You shouldn’t worry about toxic vapours that will be harmful for you and your family and pets because we use 100% safe eco-friendly cleaning materials. All employees of Magic Carpet Cleaning are experts certified by the which is an absolute guarantee for quality. We can promise you 100% clean until you verify that you are satisfied with the results and we always keep our promises! Offeringclear conditions without hidden fees and charges is partof our company policy. We use machines provided by the industry leaders – Prochem, Rotovac, Karcher, Scotchgard. For your convenience, our friendly assistants are available 24/7 and will provide you a free quote. Our colleagues in the field of professional cleaning and the manufacturers of carpets recommend the steam carpet cleaning method as the best carpet care in your home or office. The steam cleaning approach uses hot water and special cleaning solutions that are injected in the rug and are then removed from the carpet with specialized machines. To achieve maximum results, our professional cleaners always inspect the carpet in advance because they need to decide on the type of pollution and the equipment to be used. The hot water extraction treatment is highly recommended for people with allergies and families with children and pets since it reduces the amount of allergens to a minimum. Your carpets dry quickly after being treated with the steam cleaning method and you receive instructions from our staff how to protect the rug until it is completely dried but if you don’t have the time to wait, you can take advantage of the dry carpet cleaning service. The dry compound cleaning method is preferred mainly for cleaning of business buildings, offices, banks and other public spaces. Non-use of water allows your visitors to continue on their path straight after cleaning. With the dry powder cleaning, delicate materials are protected from mold and discoloration. The materials we use are biodegradable and are not bad for the environment. If you want to have every corner of your textile floor cleaned and refreshed, trust the experts from Magic Carpet Cleaners. There is no blemish or soil we can’t remove! Coffee, traces of pet urine, wine, food, chewing gum, chocolate, etc. – they will all be removed without a trace. We clean all kinds of materials and use state-of-the-art equipment together with the most effective methods known to date. 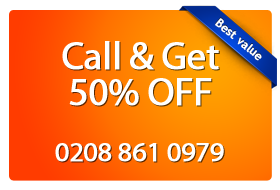 Join our satisfied customers in Raynes Park SW20 who trusted us by calling 0208 861 0979! See your carpets cleaned to perfect, as-new condition!